I remember over 20 years ago when I was planning for my wedding, before the convenience of the Internet. I had to do a ton of running around for everything I needed. One of the first things on my long list of things to purchase was the wedding invitations. In those days we had to thumb through enormous catalogs with card samples. It took us probably 3 hours to get it all done between picking a layout, figuring out what we wanted printed, the ink color and font. Fast forward to 2015, we can now do all of those same things without leaving our house in a fraction of the time. Minted.com offers a wide variety of styles and themes to choose from. 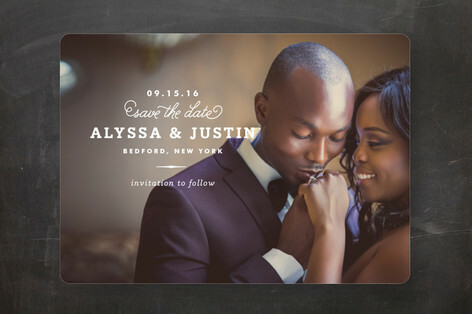 Look at these gorgeous "Save the date" cards. You can really customize your order in any way to suit your needs. The website makes it so easy to break down the colors, themes, card style, paper type and more. I played around on the site to make my dream invitations and guess what? It took me all of 20 minutes and I never got off the couch! I absolutely love this design and shape. 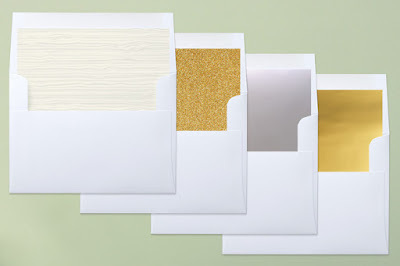 I also like that Minted automatically shows the matching RSVP cards, envelopes, thank you cards, labels and more. Minted also auto-saves your recent product views in the event you want to go back for another look. I think the hardest thing is having to settle on one design! If you are looking for beautiful wedding stationery, I highly suggest Minted. You can even get free samples to get to see stationery items up close. A couple years ago, I had a billing issue (a mistake I made) and spoke with someone in their customer service department. I was so impressed by the level of customer care and my issue was resolved right away. They even sent me a personalized follow-up email to make sure everything was correct. Now that's what I call great service! 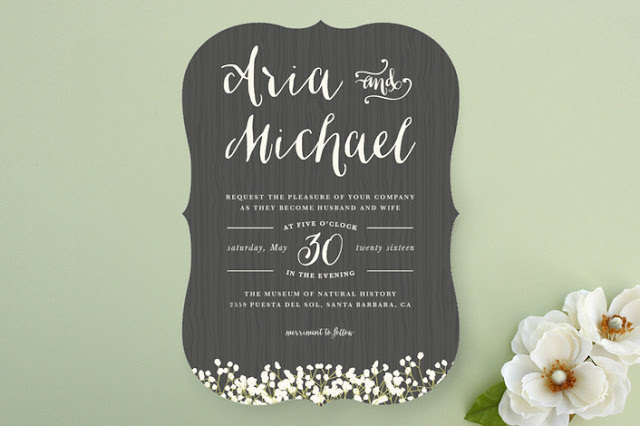 Consider Minted for your wedding stationery needs. Be sure to connect with Minted on Facebook, Pinterest and Twitter for product promotions and updates. I received a gift code to share my honest opinions about Minted.com. All opinions are 100% mine as always.